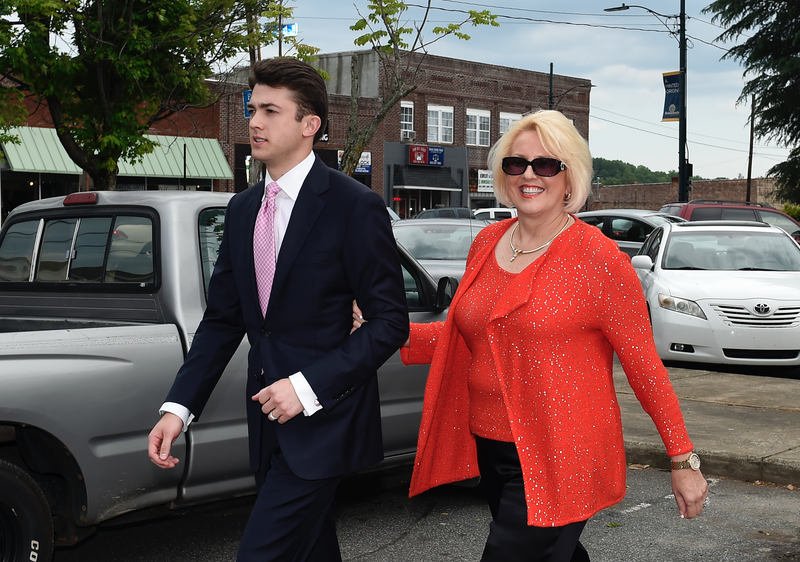 Brooke Covington with attorney leaving Rutherford County Courthouse/Image via AP. The Associated Press reports that the assault and kidnapping trial of five members involved began with Brooke Covington, who is a minister at North Carolina church Word of Faith Fellowship. Fenner stated that as he was leaving a Sunday night prayer service in January of 2013, he was surrounded by almost two dozen people led by Covington in the church’s sanctuary. For two hours they allegedly slapped, punched, choked, and “blasted” him, a religious practice that involves intense, directed screaming. Fenner had cancer as a child, and about a week before his attack he went through a biopsy. As he was being choked, he says it occurred to him he might not survive. The church has scores of strict rules to control congregants’ lives, including whether they can marry or have children. Failure to comply often triggers a humiliating rebuke from the pulpit or, worse, physical punishment, according to numerous former members interviewed by AP. Members can’t watch television, go to the movies, read newspapers or eat in restaurants that play music or serve alcohol. If church leaders believe a congregant has sexual or dirty thoughts, they can be accused of being “unclean” and be punished, the former members said. According to David Teddy, Covington’s lawyer, Fenner was the recipient of a routine prayer that last only 10-to-15 minutes, after which he “hugged everybody and left the church.” Fenner joined the church with his brother and mother in 2010, and claims he left following the attack.